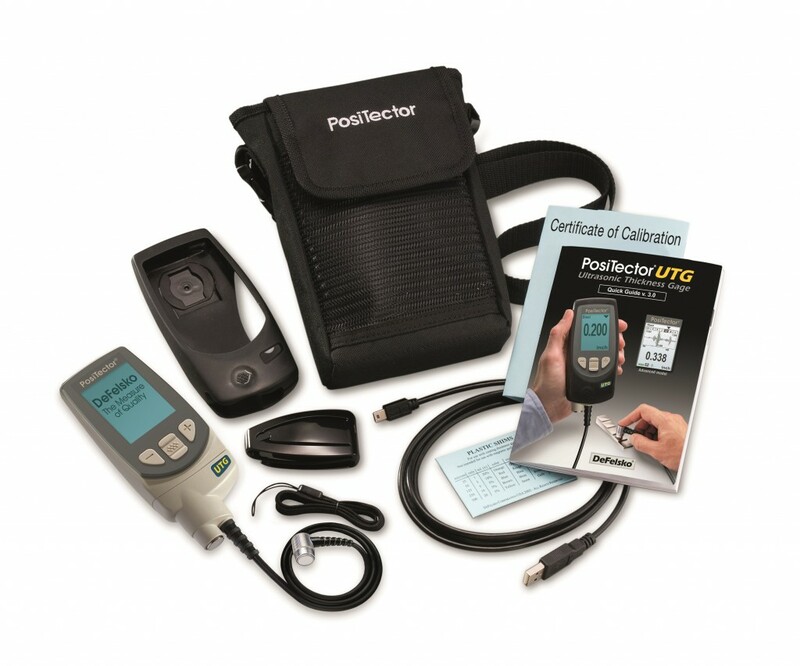 The PosiTector UTG measures the wall thickness of materials such as steel, plastic and more using ultrasonic technology. 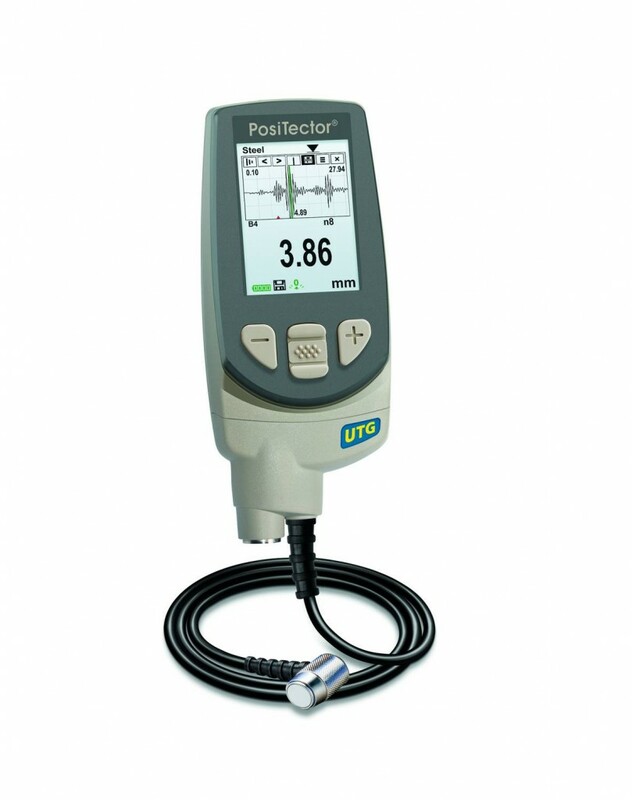 Ideal for measuring the effects of corrosion or erosion on tanks, pipes or any structure where access is limited to one side. Multiple echo (UTG M) Thru-Paint models measure the metal thickness of a painted structure without having to remove the coating. Two year warranty on body and probe. Uses alkaline or rechargeable batteries (built-in charger).